Ruth Graves Wakefield came up with the world’s most popular snack today at the Toll House Inn. She combined chocolate chips with dough to form a snack that became revered for generations to come. The chocolate chip cookie is easily one of the most tempting snacks that someone can come across. 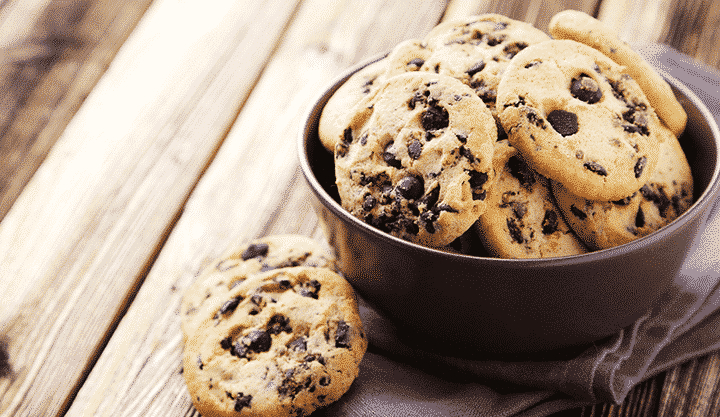 The smell of the freshly baked dough with the semi melted chocolate chips embedded inside and placed on top of the cookie will have your mouth watering. Sadly, the great taste does come with a price. The chocolate chip cookie contains about 488 calories per 100 grams. Each cookie that you consume has about 78 calories in it. It is a dietary nightmare. But You can have one cookie right, what’s the harm in that? However, if you are a true cookie fan, you know you just can’t stop at one, and you will pretty soon find yourself munching on cookies in between breakfast and lunch. For more tips on low fat delicious substitutes, consult the Memphis diet experts and discover new recipes that you can have on a daily basis.